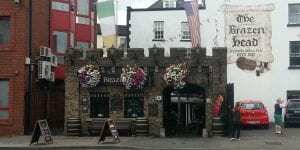 Dating all the way back to 1198 AD The Brazen Head is the oldest pub in Ireland. With its great sense of History this is one pub not to miss in Dublin. It is close to the Guinness Store house, and could be a stop off point on your way back to Clayton Hotel Cardiff Lane.